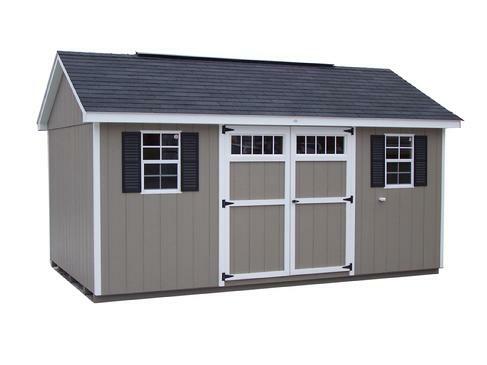 The Classic shed has all the features of the A-roof style and more, for only a little more cost. The differences of the Classic style and A-roof style are these: a steeper roof line, and bigger overhangs. These features add protection to your doors and windows and give your shed a majestic appearance. You may also want to consider the Vinyl Classic w/ Dormer, which is built just like the regular Classic with the addition of a dormer. Two benefits of a dormer are draining rain water off of your main entrance door and matching the dormer on your house.